VistaVision is a method of shooting a a 35mm negative horizontally (8 perforations), double the size of typical upright negatives. To project a VistaVision movie a special projector was necessary; one that lay on its side. The cost of the new equipment and higher costs to process the film made VistaVision an impractical format for film. Though the quality of an 8-perf image was decidedly better than the popular 35mm, the use of VistaVision decreased in both production and post-production. When Panavision introduced super anamorphic lenses available for rental, Paramount and other studios used the wide screen technologies without needing VistaVision. When George Lucas began planning a high-budget science fiction thriller, he needed a printer capable of duplicating images time and time again with as little image quality loss as possible. His optical supervisors convinced him to buy the inexpensive VistaVision equipment, including the Anderson, from the Howard Anderson Optical Company on the Paramount lot. Lucas bought the printer and set it up in his own effects shop in Van Nuys, California. He used it for compositing many of the effects shots in his 1977 blockbuster, Star Wars. The resurrection of the 8-perf format maintained the quality usually lost in special effects production. With the success of Star Wars ILM bought the Anderson and other equipment up to Northern California establishing a Bay Area based production company. 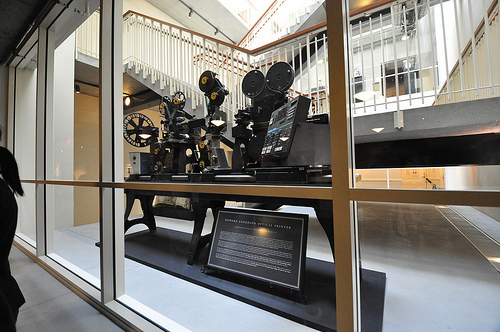 ILM acquired five more optical printers to handle the amount of work needed for films such as The Empire Strikes Back, Return of the Jedi, Raiders of the Lost Ark, Who Framed Roger Rabbit, and nearly one hundred others. In spire of its age, the well-built printer has remained rock-steady; still the only printer at ILM capable of pulling down all 8-perfs at one time. John Ellis, ILM Optical Supervisor says “The Anderson Printer has created elements for nearly every movie since the company’s creation“. Literally millions of feet of film have gone through its gates”. Among many others, the Anderson Printer has created elements for: Star Wars Episodes IV, V, VI, the Indiana Jones trilogy, the Back to the Future trilogy, four Star Trek films, Dragonslayer, Poltergeist, Captain Eo, Starman, and Death Becomes Her. 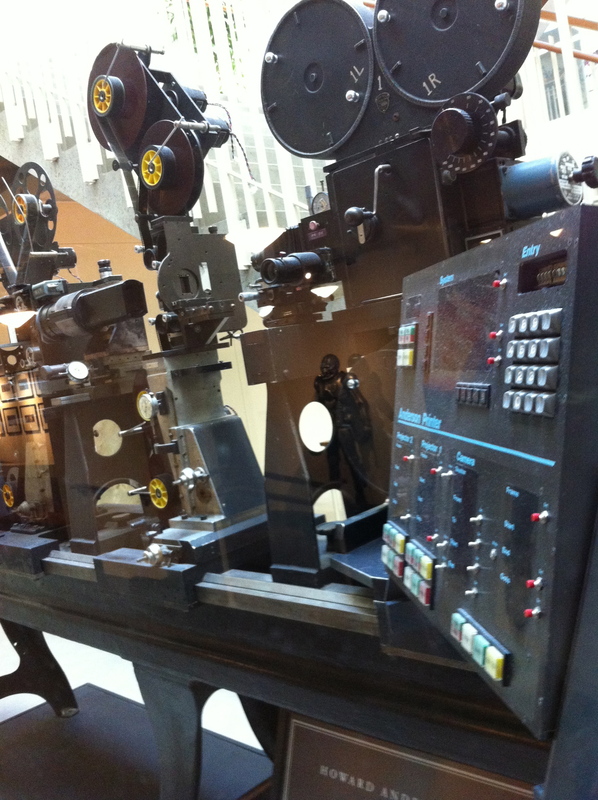 The Howard Anderson Optical Printer was commissioned at ILM 1975, and decommissioned at ILM, 1993. This entry was posted in Computer Graphics, Hardware, Lucasfilm, Movies, Star Wars and tagged Computer graphics, Film making, Lucasfilm, Star Wars by jasonrmsmith. Bookmark the permalink.